by Sophie W. Penney, Ph.D.
Capital campaigns can be time-consuming and overwhelming. A successful campaign requires a clear objective, a cohesive course of action, and collaboration across the campus community. 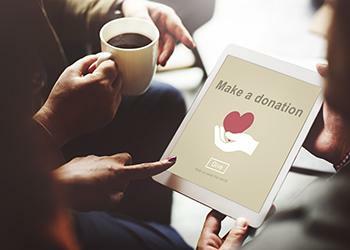 While chief development officers may take the lead on capital campaigns, an understanding of the work involved in successful fundraising is beneficial for anyone involved in higher education. Here are five tips about campaigns that could prove helpful to faculty, staff, the campus community, and board members. Andrea Kihlsted of Capital Campaign Masters said in a blog post, "When you take your time to lay the groundwork early, you'll ... build confidence, engage powerful people, and develop a clear plan that others can help you execute." Noted what we should stop doing, e.g., sending letters to 5,000 friends. Determined what we needed to start doing, e.g, send letters to 1,000 close friends. The result of our preparation? Donors committed just over $40 million on an $80 million goal within the first 31 months of a seven-plus year campaign. My successor went on to lead the team that completed the campaign and raised $113 million. There are between 1.5 million and 1.8 million nonprofits in the United States alone. No matter the size of your institution, you are fundraising both locally and maybe nationally, potentially even globally. With so many nonprofits and NGOs seeking support from your donors you must have a compelling case for support. If your institution is a member of the Council for Advancement and Support of Education (CASE) you will find sample case statements here and Circle of Excellence award winning examples here [link removed: no longer active]. Tom Ahern offers helpful guidance in "What Your Donors Want . . . and Why!" (Tom Ahern, 2017). "Listening to and Telling Stories" is an excellent chapter in "Going for the Gold: How to Become a World-Class Academic Fundraiser" (Jeffrey Buller & Dianne Reeves, Roman & Littlefield, 2017) for additional advice. As you plan internally and write your case statement, you can too easily focus only on the aspirations of your institution and too quickly forget the donors whose gifts will bring your aspirations to life. Prior to launching For the Future: The Campaign for Penn State, the University engaged donors in conversations about their previous giving. We held in-person meetings with donors to the previous campaign and asked questions such as: "Do you believe your contributions are making a difference?" Those personal visits enabled gift officers to gain a better understanding of donors' perspectives and to visit without making an ask. Another option is to hold small focus groups with top prospects to review a draft of the case. Alternatively, you might implement a Donor Commitment Survey using three simple, but powerful questions that according to The Agitator can predict future giving (see 3 Questions That Will Identify Your Most Committed Donors). Sometimes it seems that one person is responsible for raising a particular gift (the fundraiser who brings back the big check or the signed paperwork). However, this is rarely the case in any nonprofit, and even less so in academe. Deans, faculty, presidents, volunteers, and development officers, and yes, staff assistants too, all play a role in bringing gifts to fruition. "Going for the Gold" is an excellent resource for fundraisers, deans, presidents, and others who may not be fully familiar with fundraising in an academic setting. The book provides both academics and development officers with an understanding of one another's worldview. So too, it emphasizes and provides an illustration of how fundraisers and academics can engage in teamwork that will lead to success. David J. Lieb, senior associate vice president of Penn State's Division of Development and Alumni Relations taught me much of what I know about capital campaigns, including this: "A campaign is a marathon, not a sprint." There will be times when you will be sprinting at full speed, but the typical academic campaign spans seven to 10 years. Be sure to punctuate that time with celebrations when you achieve campaign milestones; your staff and volunteers will remember these moments. Spend time with family and friends. In December of the first year of the aforementioned campaign, my husband proposed to me. After I said yes he asked when we could be married. I said, without missing a beat, in seven years. His face turned ashen, then he stammered, "why seven years?" I said, "That is when the campaign will be over." Seriously, life goes on (we were married the following December). It is important to read novels, see movies, ride your bike, take a hike in another state or country, to do whatever it is that brings you joy. Your campaign is a marathon; take time to enjoy the road.